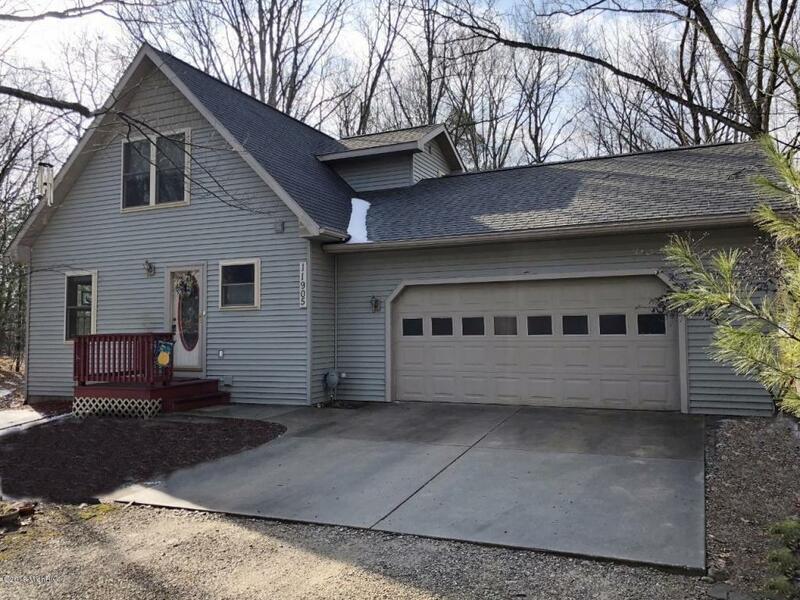 Adorable chalet complete with full basement and two-car garage in the private community of Canadian Lakes, MI. This would be a great cottage, starter home, or year-round home for a small family. Built in 2003, and newer upgrades in the interior spaces have been done to make this home perfect. Large open floor plan in living/kitchen/dining. Feature wall in living with built-in TV. New Pella windows all around, with between-glass shades in the slider off the deck/dining. Laminate floors throughout - no carpet! Kitchen upgrades include cabinets, newer Frigidaire stainless appliances, granite counter tops. Three bedrooms, one main and two upper. One bedroom has a Murphy Bed so it can double as a craft/office space. Two full baths each with solid surface counters. See more attached.